New Diamonds are discovered in South Africa regularly, however, large and high-quality diamonds have not been found in 100 years. Recently, a new diamond was found in South Africa by the mining group Petra, in September, 2009. The gemstone is a 507-carat stone, that is worth in excess of $20 million dollars ($12.5m in British Pounds). This stone was found with three other large diamonds at the famous Cullinan mine. 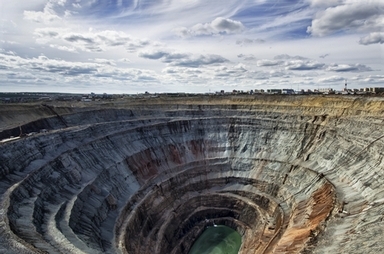 The same mine where the largest diamond in history was found 100 years ago. This large diamond is a spectacularly beautiful and important find. Currently, the stone is being examined carefully by experts to determine its true value. Also, to date, the diamond has not been named, but, 'Spectacular', would be a good name for it. Last year, a 480-carat diamond was found in the same mine, it costs $18 million dollars. The large stone recently found, has exceptional color and clarity, which means, this gemstone will have extraordinary potential when polishing it. Of the other three gemstones that were found, one large stone is 168 carats, the second stone is 58 carats and the last one is 53 carats. The Cullinan Diamond, which is the largest stone ever discovered in the mine, was 3,106 carats. This gemstone was cut into nine separate stones, many of these stones can be found in the British Crown Jewels. In Cape Town, a property developer, Brett Jolly claims that, the largest green diamond on record, was found in a mine, in which he owns shares. This gemstone weighs 7000 carats. Besides, the large Cullinan Diamond, the largest green diamond found weighs 40.7 carats. Reports on this large find states that the diamond is about the size of a soccer ball, however, according to a recent picture (not shown here), the stone looks to be as big as a softball. The experts are very skeptical of the find. They are not allowed to examine it, and the picture is the only proof of its existence. In the picture, the stone looks visibly smooth on top and looks similar to a paper weight. A new diamond mine where lots of new diamonds were discovered by Mexivada Mining Corp. was found at Vouka, Republic of Congo. Two new diamond occurrences at Madoka and Mousondji on the exclusive Malambani Permis de Recherches concession in the Republic of Congo (ROC), were also discovered by Mexivada. These diamonds discovered and the kimberlite minerals chromite and ilmenite are located in a terrane in the Mandoro River Basin, which is an unknown explored territory. Several white to brownish diamonds in 1 to 3 milimetres in diameter, were found in target areas of the exploration to date, the first target area is the north, northwest trending fault-controlled stream drainages of the western part, a similar geological setting to that of Makongonio-Mbigou in Gabon. The second target area of these finds were in two places near a large, circular structural area in the central part of the Vouka. The Vouka tends to be a favorable geological area for the discovery of a large diameter diamondiferous kimberlite pipe, according to Mexivada. Two more diamonds weighing approximately 0.5 grams were found in the Mousandji river drainage in the southwestern part of Malambani concession. Mexivada, a Canadian mineral exploration company, is diversed and focused on identifying, acquiring, advancing, and joint venturing high-grade Gold-Silver, Molybdenum, Diamond, and Rare Metal exploration projects in Nevada, Mexico and the Republic of Congo (ROC). The company is very well managed by experienced, successful board members and advisors. Mexivada is debt-free and well-financed. As of October 20, 2009, according to the Hindu Business Line newspaper, the National Mineral Development Corporation (NMDC) of Hyderabad, is dropping the new diamond exploration projects due to the economy. They do not plan to take up further diamond explorations, because, of the long gestation period involved in the business. They are going to consolidate production of their existing mines. In Hunter Dickinson's news release, the diamond exploration company known as, Rockwell Diamonds, Inc. of Vancouver, B.C., announced the results of their latest diamond sales. Their diamond sales prices increased by 20% in November 2009. The average price per carat increased from $1,195 in July to $1,434 by mid-November 2009. 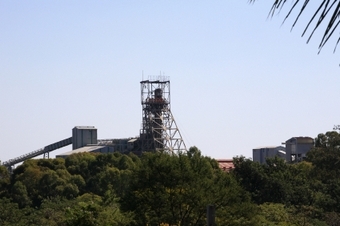 Production recovery from the Saxendrift, Holpan and Klipdam mines were included in this sale. In addition, large stones were recovered from Rockwell's South African mining operations. Their current mining operations located north of Kimberley and the Saxendrift mine on the Middle Orange River (MOR), southwest of Kimberley. In Wouterspan, located adjacent to Saxendrift but on the opposite side of the MOR, is the care and maintenance. All operations are located in the Northern Cape Province of South Africa.